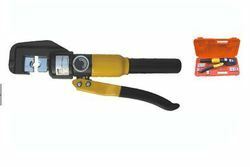 We are positioned amongst the eminent Suppliers owing to the best in class Hydraulic Crimping Pliers that we offer. We are staffed with diligent and efficient logistics team; they act as a helping hand to make deliveries within set time. 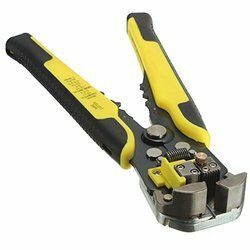 We offer Hand operated Crimping pliers - fitted with Jaws that is especially designed by us in order to have close & better metal to metal contact between wires and non-insulated Cable terminal ends. - Cable terminal ends size range : 0.5sq.mm to 16.0sq.mm.